Lleyton Hewitt considers his brutal third-round US Open loss to David Ferrer the perfect springboard into Australia's do-or-die Davis Cup play-off with Germany next week. Lleyton Hewitt considers his brutal third-round US Open loss to David Ferrer the perfect springboard into Australia’s do-or-die Davis Cup play-off with Germany next week. While his embattled understudy Bernard Tomic has endured the most tumultuous build-up imaginable, being placed on notice by fed-up captain Pat Rafter on Sunday, Hewitt departed Flushing Meadows heartened after a spirited US Open campaign. In a high-quality contest, Hewitt threatened a major boilover before the fifth-ranked Ferrer wore down the battered wildcard 7-6(9) 4-6 6-3 6-0 to end Australia’s participation in the men’s singles at Flushing Meadows. 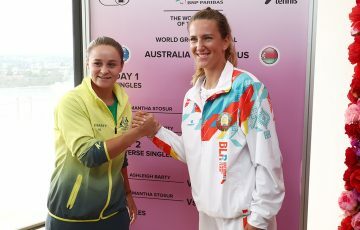 As defending champion Samantha Stosur set up a bumper women’s quarterfinal on Tuesday against world No.1 Victoria Azarenka, Hewitt has turned his attention to dragging Australia back into the Davis Cup’s 16-nation top tier for the first time since 2007. After losing to the Roger Federer-led Swiss last year, the team of Hewitt, Tomic, Matthew Ebden and doubles prospect Chris Guccione face a daunting trip to Hamburg, the home town of the resurgent Tommy Haas, for a cut-throat claycourt tie from September 14-16. “We haven’t had the easiest draws. 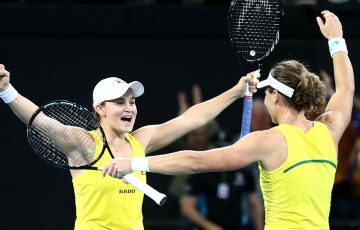 This is probably as tough as the other ones that we have had,” Hewitt said. “So we are going in as the underdogs, there’s no doubt about it. Three really good matches is at least what Hewitt feels he experienced in New York. With just one hardcourt event under his belt since undergoing toe surgery after the Australian Open, Hewitt blew out some cobwebs in a four-set, first-round win over Tobias Kamke. He then scored an epic five-set victory over Gilles Muller before the indefatigable Ferrer – carrying Spanish hopes in Rafael Nadal’s absence – pulled out all stops to deny the 31-year-old on Sunday. Ferrer ultimately prospered after saving five set points in an enthralling first-set tiebreaker. 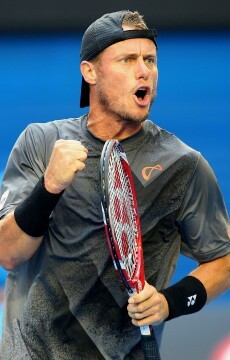 “I thought my ball striking was probably better today than it was in the first two matches,” Hewitt said. “So all in all I was pretty happy. It’s taken another quality player to beat me again. 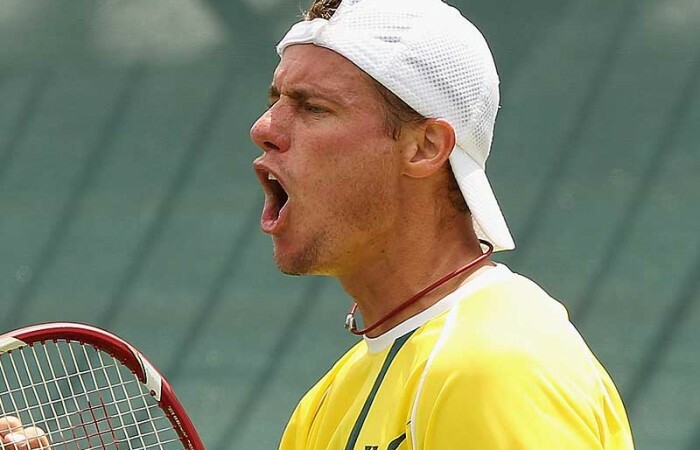 Hewitt’s run to the last 32 in New York should propel the former world No.1 back into the top 100 and he plans to contest at least four more events after the Davis Cup. The more court time the better as he eyes a record 17th consecutive Australian Open tilt in January.